a forum for the exchange of ideas, trends and leading practices that promoted customer service, industry well-being, and an industry code of ethics. 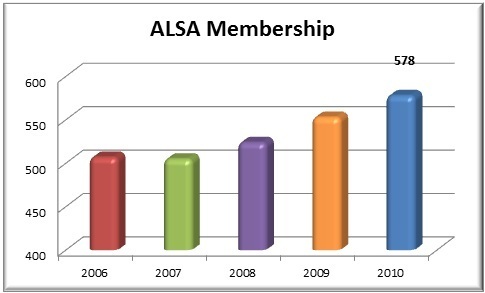 Since 1994, ALSA has grown to represent over 570 independent retail liquor stores from every community across Alberta. Our diverse membership includes small, medium and larger-sized businesses, some of which have multiple locations.
. . . provide value to our many stakeholders, central to which is our members.
. . . ensure that the Alberta Model for private liquor retailers is sustained. To represent the interests of our members to government and others in Alberta's retail liquor industry. To take a leading role in the promotion of the responsible consumption of adult beverages. To provide educational opportunities that improves member knowledge and contributes to customer service and satisfaction. To ensure that our members practice ethical retailing and that their customers receive fair value. To create job opportunities and tax revenue across Alberta that are sustainable and contribute to local economies.